On this day marking the 50th year since the Rev. Dr. Martin Luther King, Jr. was assassinated, I find myself conflicted. In many ways, this is not an "anniversary" to be celebrated, but a moment in our history that calls us to take stock of the progress made, and the work that remains to be done. We would do well to reflect on Dr. King's full legacy -- not simply the narrow, white-washed version too often presented -- and renew our personal and collective commitments to advancing equity and racial justice. It is fitting, then, that our current cohort of Fellows will be meeting for the second session of our three-part Race & Equity Series with Baltimore Corps' Expert-in-Residence, Dr. Lawrence Brown of Morgan State University this weekend. In advance of their time together, our Fellows joined Dr. Brown in a visit to the Lillie Mae Carroll Jackson Museum where they were moved and inspired by the incredible civil rights activism of the museum's namesake. programming become such an intrinsic part of the professional development provided to our Fellows. Likewise, I am excited to see the growth of our Place for Purpose service, connecting even more talent to opportunity in Baltimore's social impact sector. Check out the two executive positions in our current search, as well as the many mid-level positions we are seeking to fill within Baltimore City. Most of all, I am thankful for how each of you, as members of Baltimore Corps' extended network, show up every day to advance our shared values of advancing equity and racial justice; enhancing sector effectiveness; and putting Baltimore first, truly making this the best place in the world to change the world! 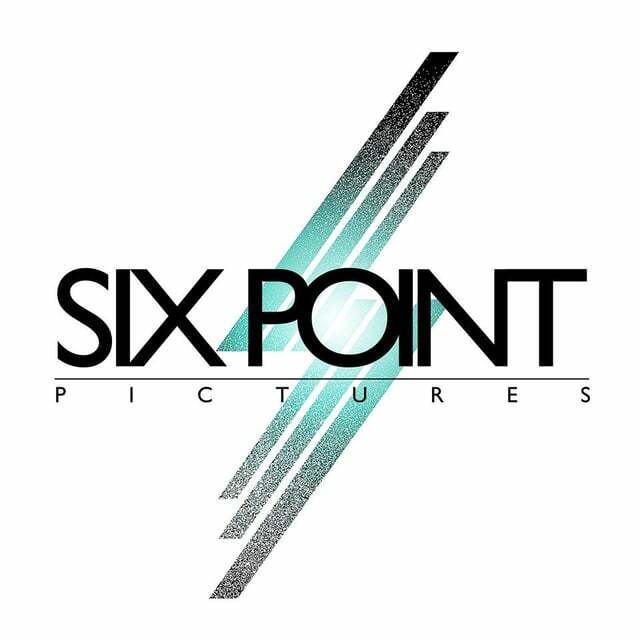 2016-17 Elevation Awardee JaMar Jones' Six Point Pictures is in a competitive grant contest and needs your support! Please vote today, and share with your networks. 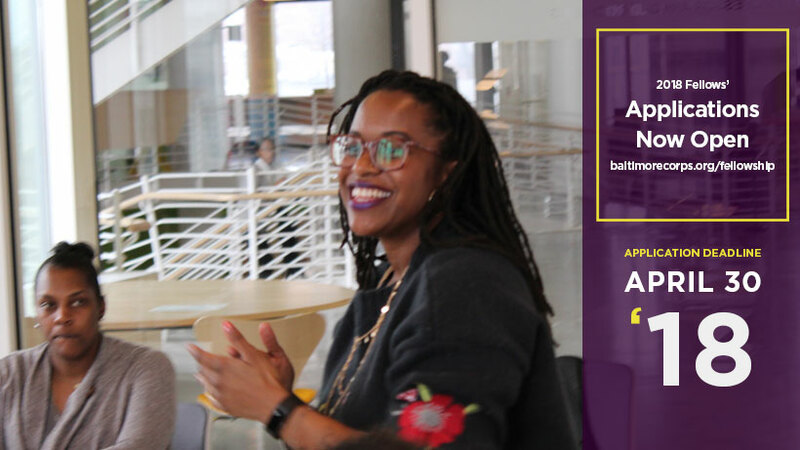 This month also saw JaMar (Six Point Pictures) and former Fellow / current VCL Charlotte James (Power Nail Decals) named as part of Baltimore Creatives Acceleration Network's Founder Fellows program! 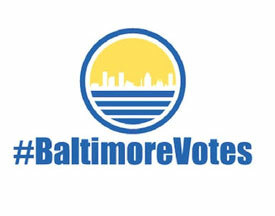 April 7, 2018 | 10:00 a.m.-2:00 p.m.
#BaltimoreVotes is holding its first civic engagement Leadership Summit in order to lead voter engagement efforts that create a culture of excitement and celebration ahead of the 2018 elections. Sector-specific training will be provided to #BaltimoreVotes leaders working in K-12, higher education, and the nonprofit and corporate sectors. 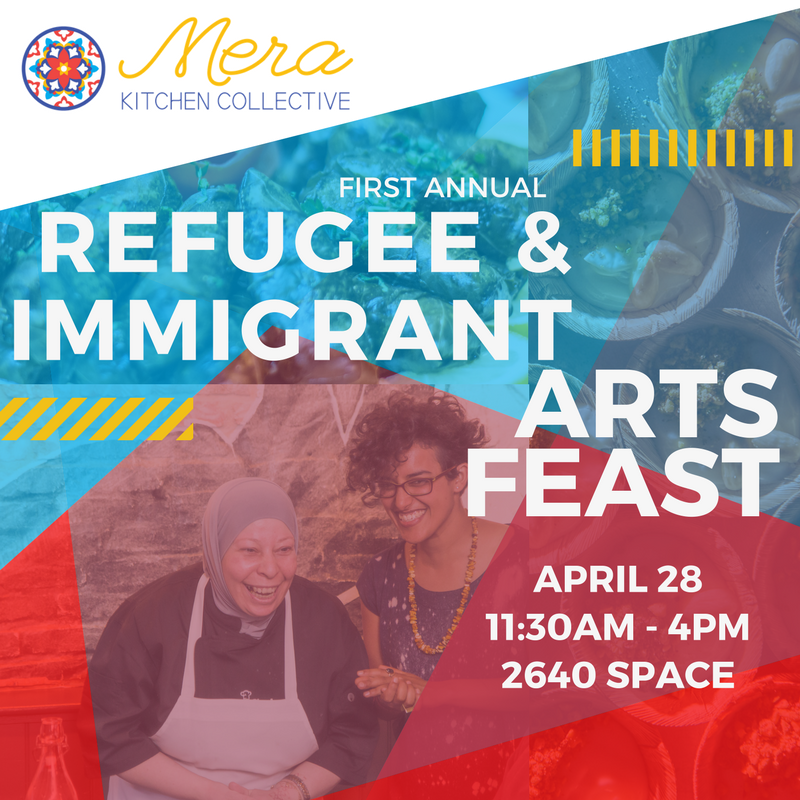 April 28, 2018 | 11:30 a.m.-4:00 p.m.
April 14, 2018 - 8:15 a.m. The Baltimore Corps network is always well-represented at Strong City Baltimore’s Neighborhood Institute -- an annual networking and skill-building event aimed at providing community residents, neighborhood leaders, and community development professionals with the training they need to build on assets and tackle challenges big and small. The Warnock Foundation Social Innovation (WFSI) Fellowship provides Baltimoreans with the opportunity to implement ideas/innovation to make Baltimore a vibrant city to live, learn and grow! The WFSI fellowship provides meaningful professional development, mentorship, and sponsorship to 12 Baltimore leaders/innovators twice a year. 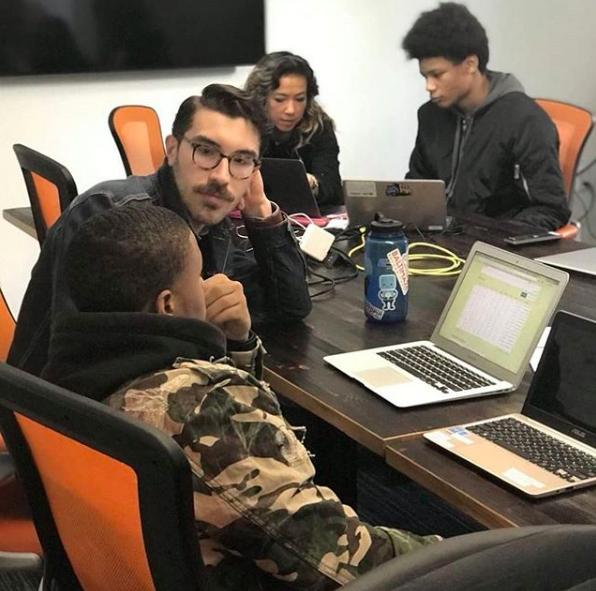 The overarching goal is to utilize the talent that already exists in Baltimore to grow and guide innovations that will impact the community and city. 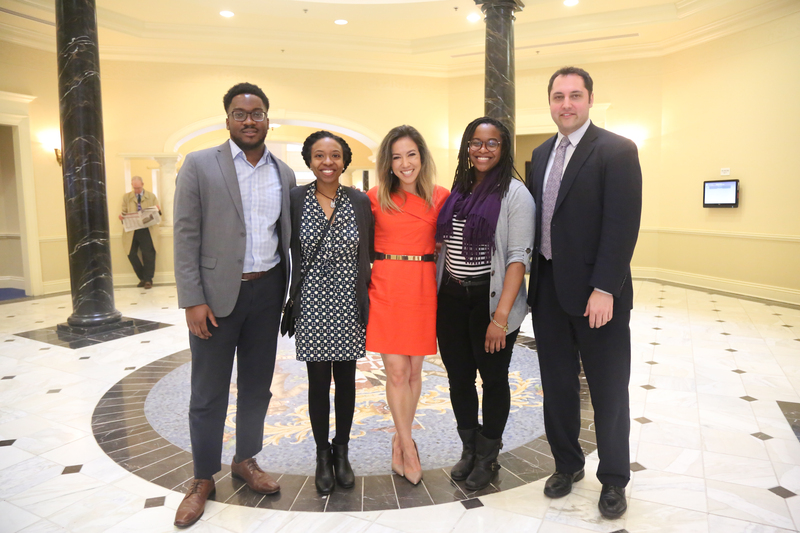 On March 30, Fellows traveled to Annapolis to share about the Baltimore Corps Fellowship with the Baltimore City delegation and be recognized from the floor of the House of Delegates. On March 24, the Baltimore Corps network was represented at the March for Our Lives rally in DC not only in person, but with signs designed by partner organization Wide Angle Youth Media. On March 24, Baltimore Corps partnered with Open Society Institute-Baltimore and Social Innovation Lab at Johns Hopkins University for #ImpactBootcamp, where alumnus and current Visionary Cause Leader Brian Gerardo of Baltimore Dance Crews Project spoke as part of a panel. On March 24, Fellow Melanie Shimano and Baltimore Corps Systems Design Manager Billy Daly worked with students as part of partner organization Code in the Schools’ Data Day. 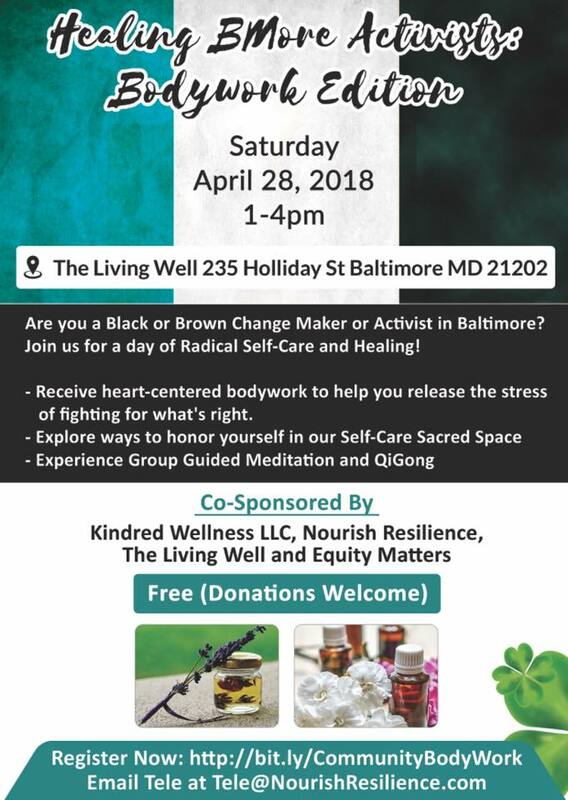 On March 16, Elevation Awardee Ana Temple Rodney hosted her third MOMCares Healing Circle at Impact Hub Baltimore. On March 3, Ravent Inc. hosted its Launch & Network event at TouchPoint Baltimore – Mondawmin, with a portion of the proceeds going to support Elevation Awardee Brittany Young’s B-360 program. Alumni Brittany Young and Alphonso Mayo were named as two of Community Law in Action's 2018 Inspiring Voices.